A cute home decoration for a happy couple on their wedding day. 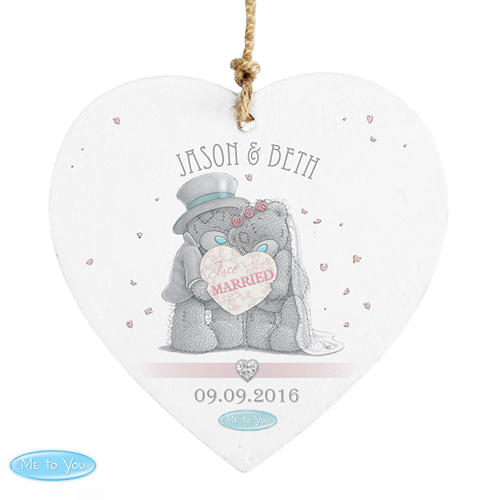 You can personalise this Personalised Me to You Wedding Couple Wooden Heart Decoration with up to 30 characters in length across the top. You can then add a date or a message of up to 10 characters at the bottom. 'Just Married' is fixed text on this item. Personalise with up to 30 characters in length across the top. You can then add a date or a message of up to 10 characters at the bottom.